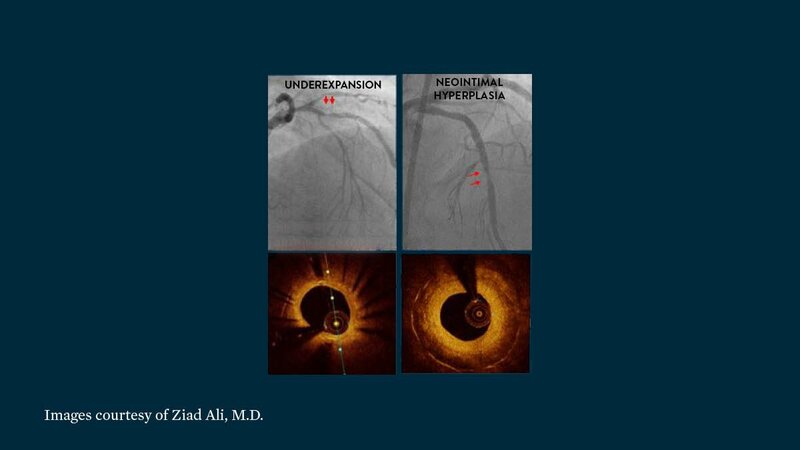 3/Here’s how stent underexpansion and NIH are seen on angiography and OCT respectively. 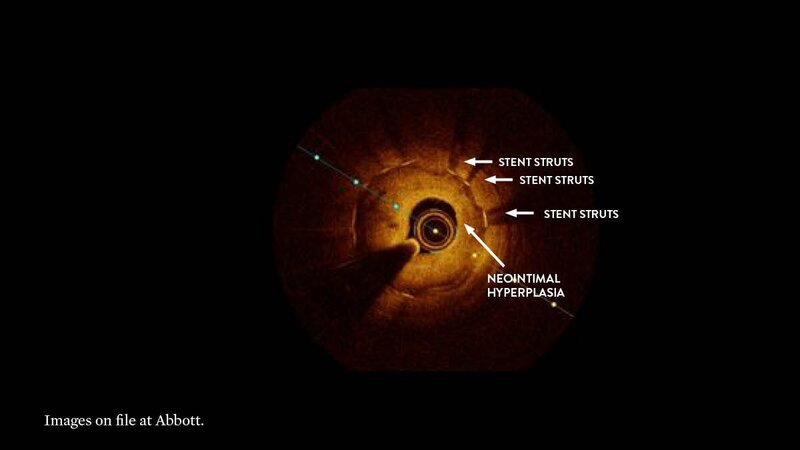 To spot NIH, look for a large layer of growth on top of an already fully expanded stent. 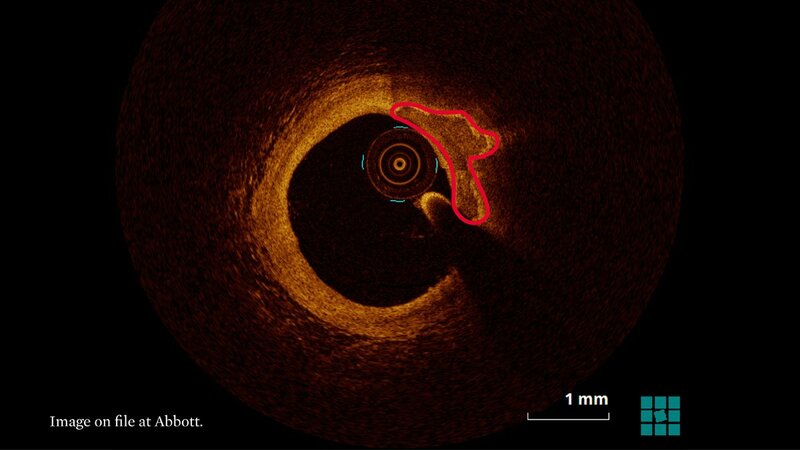 3/Calcific plaque is characterized as having low attenuation (light penetrates deep, can see tissue) & clear, delineated edges (appear as “islands” or “rocks”). 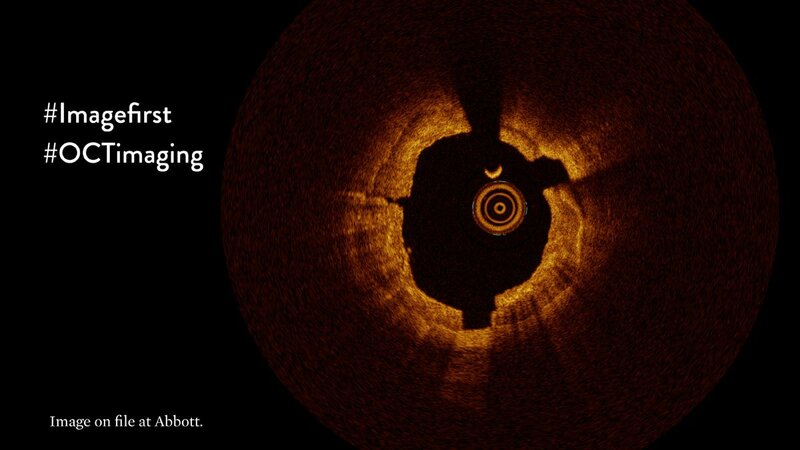 In this image, calcific plaque is observed from 12 o’clock to 3 o’clock. 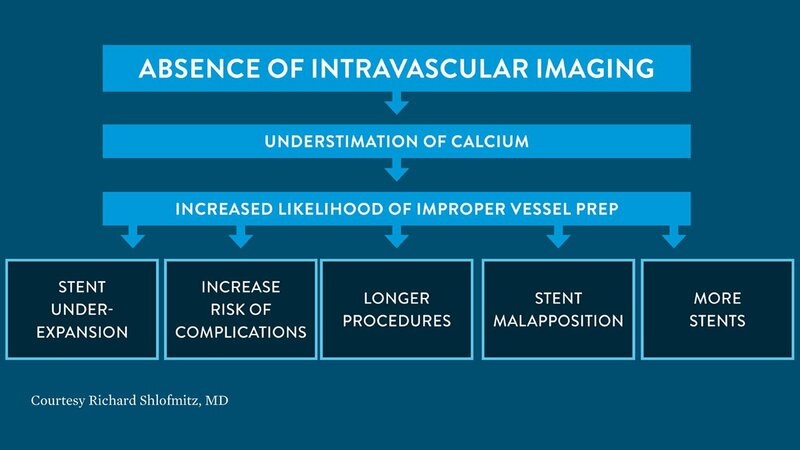 2/First things first, what is OCT? 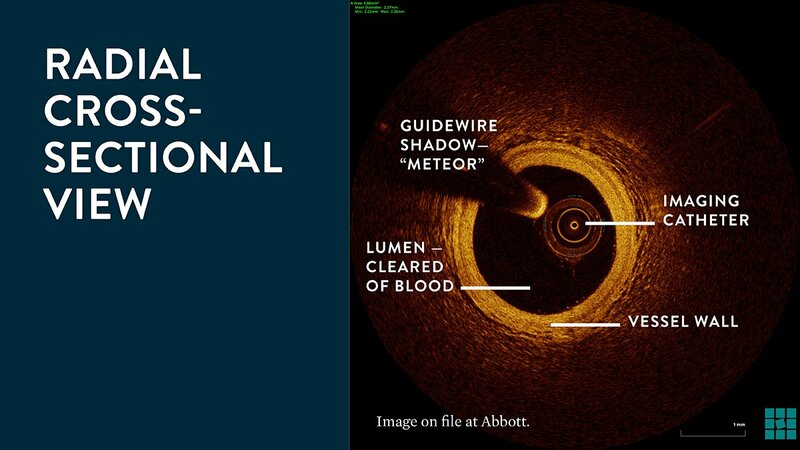 OCT stands for optical coherence tomography which is an imaging modality that uses near-infrared light to provide high definition images of the artery.